Millennium 7 Publishing Co.: Monetize YOUR Social Media Following? Social media has not only revolutionized the way that people communicate and stay in touch - it has completely transformed business and marketing practices as a whole..
Over the past five years, social media websites have become some of the largest and most meaningful pieces of the digital marketing puzzle. While many still maintain that social platforms are for communicating and not slinging products, others would vehemently disagree; just look at Facebook, Instagram and other networks' efforts to integrate e-commerce options. Generating revenue is, by many standards, the sole reason why many aim to accrue millions of followers; massive awareness often leads to either sponsorships or sales. Either way, cash is the ultimate goal. But is it possible to monetize moderate social followings that don’t reach into the hundreds of thousands and beyond? You bet it is. 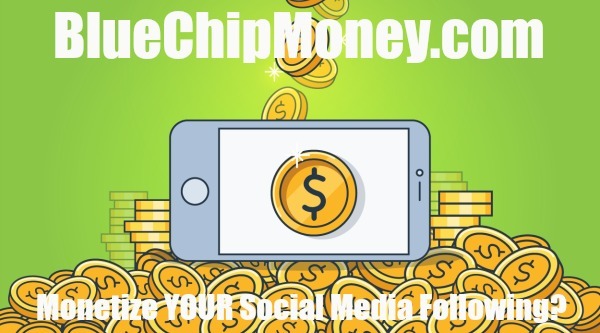 Related Article: Is Social Media Making YOU Money? If you’re ready to start having your social followings work for you, here are five ways to turn your social presence into a bonafide stream of revenue. E-learning is a gargantuan industry that's poised to grow exponentially over the next several years, reaching $325 billion globally by 2025. Those who have been watching this trend know that now is the time to double down on their own expertise and create a course to offer their audiences. Kajabi, an e-learning platform that boasts a wide array of powerful features for marketing, selling, upselling and hosting digital learning courses to students, recently published a story on its blog about one of its “heroes' (a person who turned their passion into a profit through Kajabi’s offerings) that clearly shows anyone can turn their social audience into customers and advocates. Makeup and design artist Tiffany Bymaster was introduced to Kajabi by her mentor, who had already achieved massive success through the platform. Bymaster had no email list or social following at the time, but knew her skill set was stellar. She began making videos on how to grow a person’s outreach process - mostly just to help herself become comfortable in front of the camera. Once she set up her Kajabi website, these videos actually became part of her course training materials. From there, momentum started to build as her social presence grew and her online training program took flight. Today, Bymaster has now launched three successful programs which have earned her $80,000 in the past six months. Bymaster is a perfect example of leveraging social to create revenue, as her method incorporates my next two points. In order to generate sales from your audience, you need to have something to sell. By posting about new products or services on social media, you are giving your offering a much larger platform to reach prospective buyers. If you want to significantly extend that reach, start running Facebook ads for your products using Custom Audiences and Lookalike Audiences. This will allow you to target the most relevant individuals to help boost your sales. If you want to add a layer of “exclusivity” to your product releases, you could give your social audiences early access to products and deals so as to create a sense of urgency and privilege. Video content is en fuego. Everywhere you turn there is video content, articles about video content, and even videos about video content; it is becoming inescapable. Nearly every social platform is currently generating billions of video views per day; even Snapchat has broken the 10 billion daily view marker. The point is that video content is becoming a marketing necessity - especially when you consider that explainer videos increase a prospect's likelihood to purchase by 1.81 times. Videos help increase your chances of monetizing your audience, as the content is engaging, educational and often entertaining - the marketing trifecta. Leverage this by creating video content about your products and using live streaming services like Facebook Live to connect with your audience and explain exactly how your product will help them reach their goals and make life simpler. Affiliate programs are another sales model that is increasing in popularity. Becoming an affiliate advertiser for brands like Amazon is a relatively simple endeavor which allows entrepreneurial-minded folks to acquire advertising materials for various brands to market to their audiences. These adverts can be circulated across an individual’s blog, website, and yes, social media accounts. Affiliates are paid a commission based on the revenue their particular set of ads generates. Just be sure when you are promoting these links to your social followers that you are honest with them about your affiliate status and the items you are highlighting; pandering will get you nowhere, except maybe unfollowed. Related Article: Direct Sales Social Media? Create long-form reviews on products, and let your followers know your honest opinion; as a bonus, you can even create video content on these items to boost your engagement. Social media platforms are integrating all sorts of shopping options for brands and consumers to take advantage of. One of the most comprehensive and in-depth social selling tool kits comes from Facebook. By using Facebook’s shop section, you can list physical products directly on the platform for followers to browse and buy. It just doesn’t get any easier to reach so many people in such an efficient and effective manner. The digital age affords brands and entrepreneurs a vast array of options for generating income in a much less back-breaking way than past generations. These are only a few of the many ways that you can monetize your social following and build an online business. Guest Authored By Jordan Kasteler. Jordan is the SEO Director of Hennessey Consulting. His work experience ranges from co-founding BlueGlass Interactive, in-house SEO at Overstock.com, marketing strategy at PETA, and agency-level SEO & Marketing. Jordan is also an international conference speaker, columnist, and book author of A to Z: Social Media Marketing. Follow Jordan on Twitter. Related Article: 2017 Video and Social Media Marketing? The digital age affords brands and entrepreneurs a vast array of options for generating income in a much less back-breaking way than past generations.